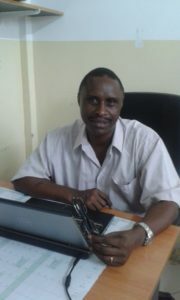 Dr. Kafuruki Shubis is a the Head of Training & Capacity Building Department at Ifakara Health Institute (IHI). He holds a Masters degree in Medical Education from Centre for Medical Education at the University of Dundee, UK, and has extensive training experience including curriculum design, assessment and teaching methodologies. Dr. Shubis joined the institute in 2007, and played a leading role in establishing the clinical trials quality assurance processes at Bagamoyo branch. He has also been a study site coordinator for the phase III malaria vaccine trial. He is the coordinator of the Tanzania Malaria Vaccine Secretariat that coordinates and links malaria vaccine researchers and policy makers. Dr. Shubis has also been instrumental in establishing Community Advisory Boards at the Bagamoyo, Ifakara and Kigoma sites of IHI, the members of which are elected representatives of the villages in study areas. He has published many scientific papers on CAB, community perspective on malaria vaccines in Tanzania and Moqsuirix™ malaria vaccine candidate. He is also a regular contributor to various initiatives designed to disseminate research study results to policy makers. These include the annual Tanzania Malaria Control Forum coordinated by IHI at which researchers present the latest results to policy makers and discuss their policy implications. Dr. Shubis is also the Manager of the IHI Bagamoyo Branch.